The Ear Force Elite 800X Premium Gaming Headset has been released in multiple regions. 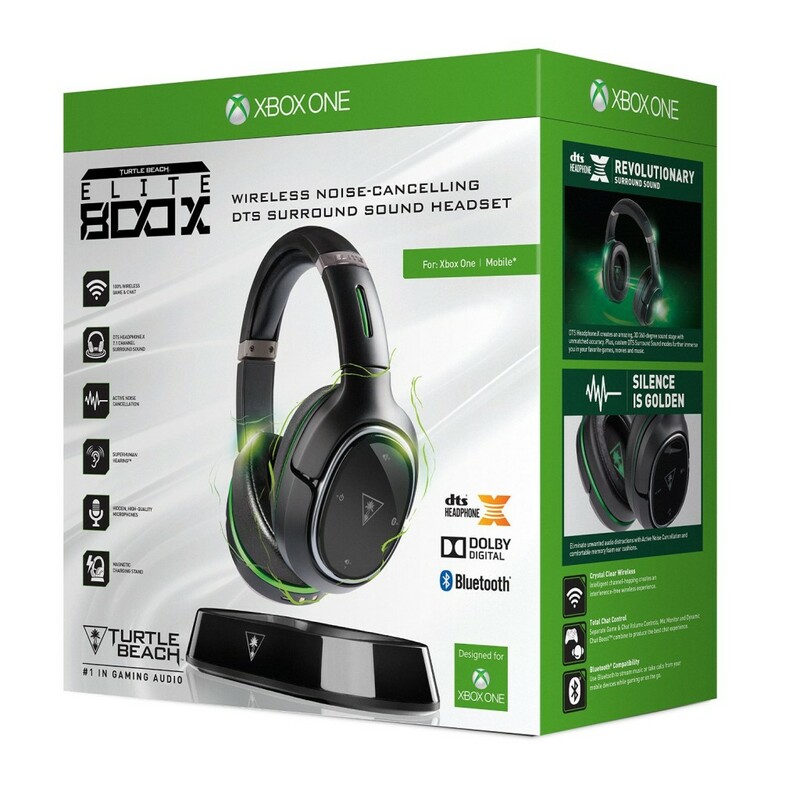 It joins the 5000X, XO Four, XO Four Stealth, XO Seven, TitanFall Ear Force Atlas, Call of Duty: Advanced Warfare Ear Force Sentinel Task Force and other headsets created by Turtle Beach for Microsoft’s current-gen console. If you are interested, you can purchase the 800X with this page from Amazon. While the Turtle Beach Ear Force Elite 800X Premium Gaming Headset is pricey, it does come with some compelling features you don’t normally find in other headsets. The most interesting of which is the product’s ability to produce DTS 7.1 Surround Sound. It also has a microphone that can dynamically boost the chat volume, cancel any unwanted ambient noises and can be monitored. Last but not least, the 800X is also completely wireless, so you don’t have to worry about any wires getting in your way while playing. Along with the headset, gamers will also get a magnetic charging stand so that they can easily recharge the internal battery of the product. So, if you were previously looking for a headset with a lot of bells and whistles, you should check out the newly-available Ear Force Elite 800X Premium from Turtle Beach. You can compare the 800X with the 600 and 700 in our buying guide located on this page.